Make your kitchen sparkle and shine with the right cabinet hardware. SLHL: How do you determine the correct size a knob or pull should be? Sarah: It is all about proportion when you are trying to decide what size hardware goes where. Originally, there were knobs on doors and pulls on drawers. Today, cabinets are made so much taller that it can look odd to have a standard 1 1/4" knob on a 42" cabinet door. I often recommend that people entertain the idea of placing a pull on the tall cabinet doors. This will look more proportionate to the size of the door. If a client is set on using knobs for their cabinet doors we offer knobs available in larger sizes. We recommend that you use different size pulls on different size cabinet drawers. If you have a drawer that is anywhere from 12" to 25" inches you should use a 3" pull up to a 5" pull. If you have a 26" to 30" drawer then you should use anywhere from a 5" to an 8" pull and so on. You also want to make sure that the hardware is substantial enough to pull the weight of the drawer and the weight of what is inside the drawer. SLHL: Are there certain styles to select based on the cabinetry style? Sarah: There are hundreds of options of hardware that can be used on any style of cabinet from rustic to traditional to contemporary. If a client comes in and has traditional cabinets but wants to make the room look more contemporary, we will help them find hardware that will do just that. Simply replacing the hardware with a contemporary design will make a huge difference and can make the space look new and updated in a few hours! The days of people having to match their hardware style to the style of the cabinet have long since past. SLHL: Do you have to match your cabinet hardware to your stainless appliances? Sarah: You do not need to match your hardware to your appliances. You should select hardware that best complements the cabinet. The cabinets are often the focal point of your kitchen, so you want to make sure the hardware blends nicely . SLHL: What’s new in cabinet hardware? 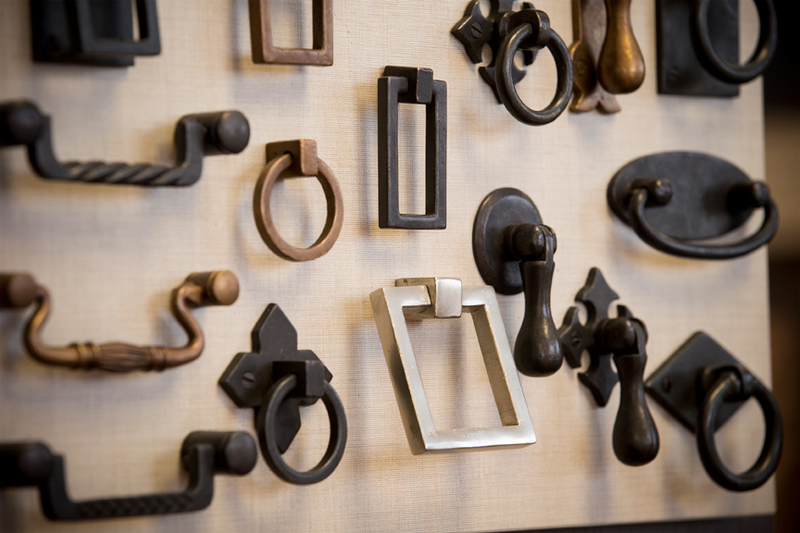 Sarah: Cabinet hardware is constantly changing just like all aspects of design. I see a lot of larger sizes coming out to make a more dramatic look on cabinetry. I also see a lot more fun designs, like some with glass, leather or even crystals. Instead of the traditional round knob, I see a lot of square or even octagon shaped knobs. There is also a new finish that is getting popular, polished nickel. Nickel is a beautiful, warm polished finish that just sparkles. I always tell people that cabinet hardware is the jewelry for your home. 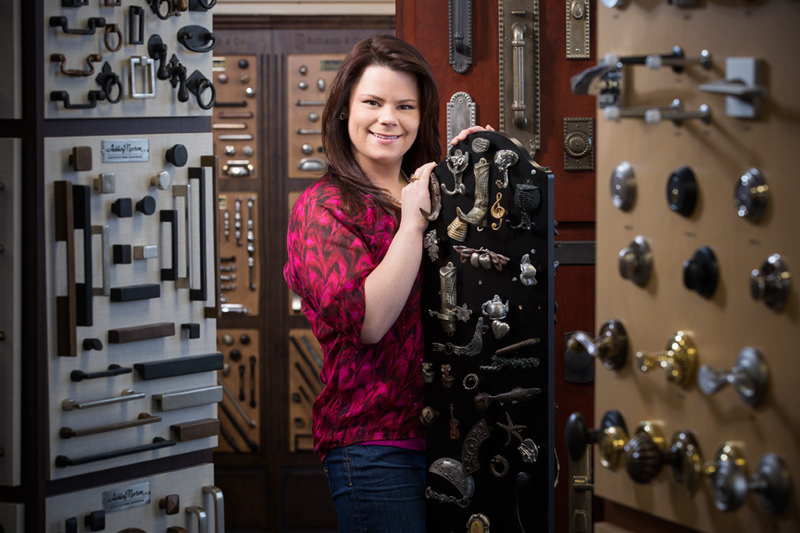 As women our jewelry is always changing; cabinet hardware is the same way and that is what makes it fun!